WASHINGTON — A U.S. MQ-9 Reaper drone was shot down in western Yemen on Sunday, officials at U.S. Central Command confirmed to Military Times. Multiple outlets reported on Sunday that Houthi rebels had claimed they shot down a drone. Images of the wreckage were posted by the rebel faction’s news agency SABA. Houthi air defense systems brought down the drone in Sanaa, the capital of Yemen, SABA claimed. “We assess that an MQ-9 Unmanned Aerial Vehicle was shot down in western Yemen on Oct. 1, 2017. This incident is under investigation,” said Maj. Earl Brown, a spokesperson for U.S. Central Command. The MQ-9 is predominately an armed hunter-killer drone but the unmanned aircraft is also capable of surveillance and intelligence collection. Yemen has been embroiled in a civil war since a failed power handover between Ali Abdullah Saleh and President Abdrabbuh Mansour Hadi. Disenfranchised Houthis upset with Hadi’s ability to clamp down on al-Qaida factions within the country launched a rebellion in 2014 capturing much of northern Yemen, including the capital of Sanaa. The rapid deterioration of the security situation in Yemen and rise of the Iranian-backed Houthis led Saudi Arabia to launch a coalition of other Sunni Arab countries to push back the rebel advances, and to restore Hadi to power. The U.S. has been providing Saudi forces with intelligence and logistics support. U.S. forces in the region have also been battling al-Qaida in the Arabian Peninsula, or AQAP. It is not known at this time whether the downed U.S. drone was collecting intelligence to support Saudi operations or if it was targeting AQAP militants. AQAP is one the most capable and dangerous terrorist groups in the region, officials at the Pentagon have previously told reporters. 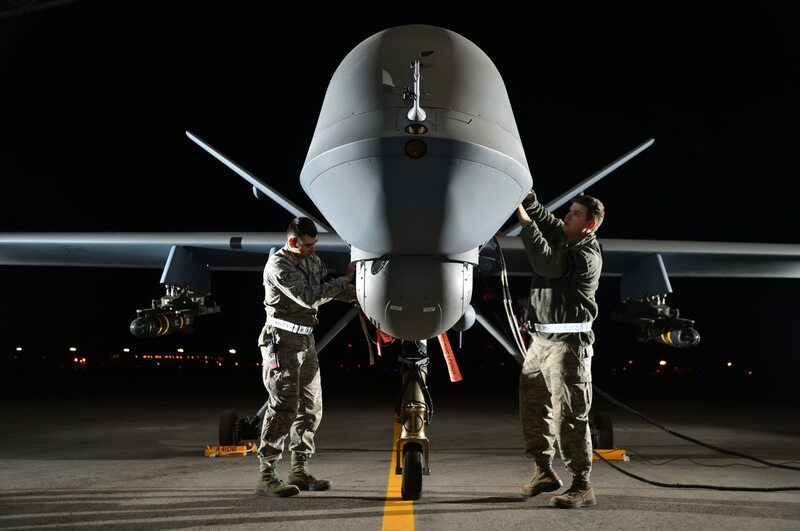 The U.S. has conducted numerous drone strikes against the al-Qaida offshoot, including launching several American commando raids on the ground in Yemen. In January, a botched raid on an AQAP target resulted in the death of Navy SEAL Chief Special Warfare Operator William Owens and a destroyed Osprey. The high-risk operation left one American dead and at least six others hurt or wounded.